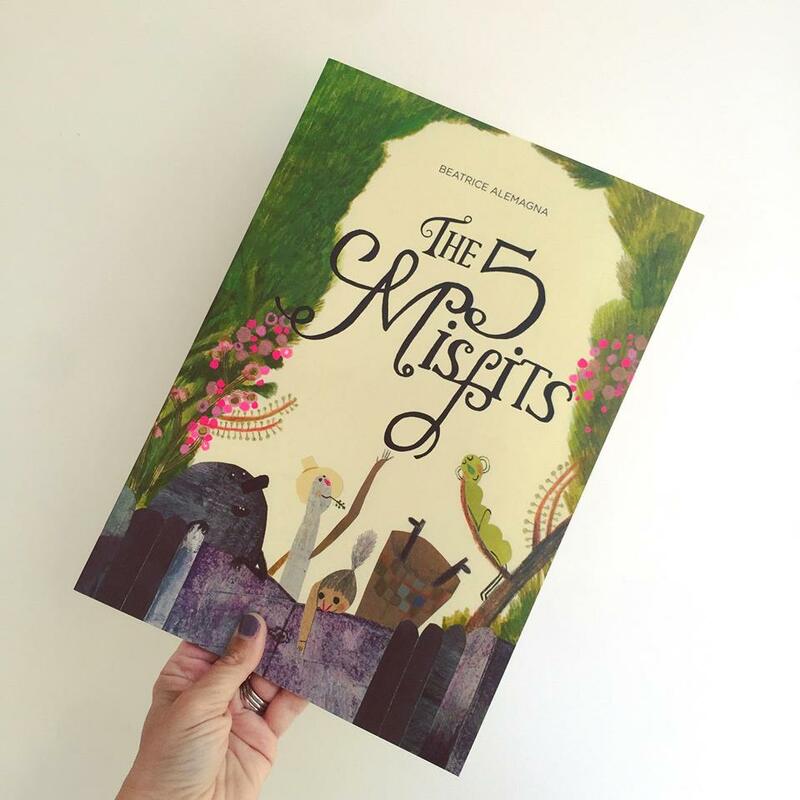 ‘The 5 Misfits‘ is another fabulous offering from the fabulous Beatrice Alemanga. With an inimitable contemporary style all of her own, Alemanga has produced another gem of a book. An allegorical tale which clearly promotes inclusion and celebrates individuality with wit and humour, this is bound to be a hit with children everywhere. We meet the five very individual, quirky misfits, each with their own foibles and folly, who have never really amounted to much in life. Children and adults alike will find fun in the weird and wonderful characters and may even feel a certain resonance with one or more of the misfits. The misfits live together, in a home fit for misfits, whilst they do things that misfits do. Not much of anything. One is a little but holey, one is folded like a concertina, one is feeble and sleepy, one is completely upside-down and the last one, well that one can only be described as a total and utter catastrophe. Cue the Perfect One with his flourescent flowing locks and pink pantaloons to remind them of their worthlessness. Or are they? With a breathtakingly unique style of mixed media illustration, Alemagna brings a subtle, unassuming humour and highly poignant moments, to a clever tale which gets turned totally on its head. A creatively delivered message, beautifully packaged, this would be a great addition to any shelf. Embrace your inner misfit, there’s at least one which everyone will be able to identify with in this book. Out in paperback in early June, this is bound to strike a chord with every reader.